"Women who join Global Peace Women Leadership Academy have to be confident. They must have the spirit of volunteerism in their souls. It’s not about getting money or being paid a salary. It’s about you being able to offer your service to your community. It’s about things we do for the community. In order to be that important person in your community or in the family, you must impact your society. You can offer your human capacity. That is the main thing that I have learned from the Global Peace Women Leadership Academy." 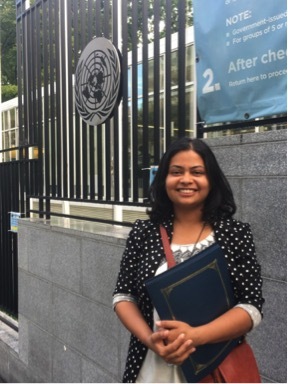 Irene was one of four exceptional young women from the Global Peace Women Leadership Academy to attend the 2018 International Young Leaders Assembly (IYLA) in Washington D.C. and New York City. Flying in from South Korea, Tanzania, Nepal, and Washington state, the women were selected by the women’s division of Global Peace Foundation for their unique grassroots projects that addressed local challenges with outstanding creativity and leadership. The leadership academy is a capacity building program that empowers women to become Moral and Innovative women leaders and peacebuilders in the family and community through a set of three stages: 1) Education for Capacity-Building, 2) Service Learning, and 3) Networking and Partnership Building. The academy delegates participated in the ten-day IYLA program as well as a two-day follow up women’s leadership workshop in Washington D.C. after the Global Youth Summit that concluded the IYLA at the United Nations. Throughout the program, GPW Secretary General Dr. Soonok Kang spent time counseling each GPWLA delegate to hear her plans for further development in their project and how to expand their capacity as women leaders who can contribute to peacebuilding in their respective societies. Ohnsoon Kim, Country Desk Officer with the Peace Corps spoke at the leadership workshop to share her experience as a Peace Corps envoy in Ethiopia as well as basic tools for Monitoring, Reporting and Evaluations (MRE). The young women first joined the leadership academy to expand their knowledge on how to implement strategic projects to bring positive change to their communities. 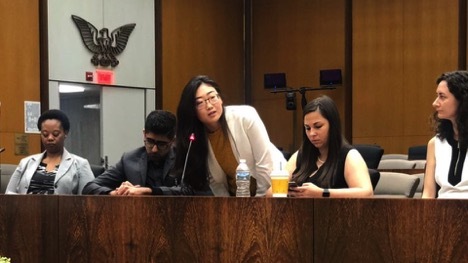 As Ohnshim Kim from the United States learned beside her colleagues from around the world, the opportunity included learning skills like budgeting, goal setting, and logistics as stepping stones to better their local communities. By simply starting the conversation with a bigger network, their world became smaller but their family became bigger. 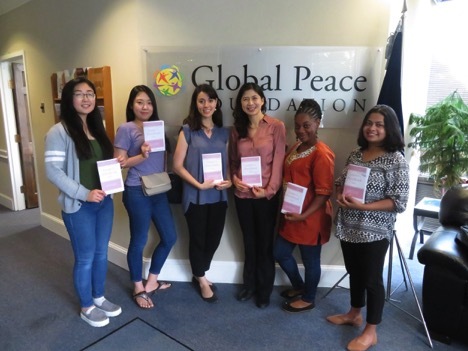 Learn more about the Global Peace Women Leadership Academy and sign up for monthly newsletters to hear the latest on how women are building peace around the world.